Find fun activity ideas in the calendar below for the senior men in your nursing facility that you can easily add to your facility's activity calendar. Was It Gable, Stewart, or Fonda? Can Men Be Feminists, Too? Do We Put Too Much Pressure on Our Athletes? Is It O.K. to Be a Nosy Neighbor? How Was the Single Life? Why Is He So Revered? Was It Bess, Mamie or Jackie? Should We Have a Space Force? Is It Wrong to Go After What You Want? Is a Lower Drinking Age the Solution? Should Animals Be Spayed or Neutered? Invite the men to create snow sculptures on this first day of the Saranac Lake Winter Carnival in Saranac Lake, New York. Beforehand, make a batch of fake snow for the men to use (made from just baking soda and white hair conditioner). Challenge your resident to a bubble gum blow-off on this Bubble Gum Day. For the activity, set a timer for five minutes to see how many bubbles the two of you can blow. Chit chat with the men about past protests that they remember concerning social issues on this first day of the Greensboro Sit-in, a nonviolent protest where African-American students sat down at a Woolworth's lunch counter and ordered coffee, staying there even though they were refused service. Share several other 20th century protests to see if the men remember them. Special Event: Was It Gable, Stewart, or Fonda? On this birthday of popular actor Clark Gable, host a fun actor-guessing game with the men to see whether they can choose the correct actor – Clark Gable, Jimmy Stewart, or Henry Fonda. To play, simply give the title of a movie that has Clark Gable, Jimmy Stewart, or Henry Fonda as one of the main characters in the movie, and then award a point to the first participant who correctly guesses whose movie you are describing. Invite the men to participate in a fun groundhog cookie assembly as part of your Groundhog Day festivities. Use large chocolate cookies, mini cookies, homemade googly eyes, chocolate chips, chocolate sprinkles, pink jelly beans, sunflower seeds, and melted chocolate for the cookies. For this Take Your Child to the Library Day, recruit your resident to assist you with crafting valentine bookmarks to pass out to visiting kids this month. For the project, print out the template onto white cardstock, and use glue and a craft knife or heart punch. Discussion: How Accurate Is the Groundhog? 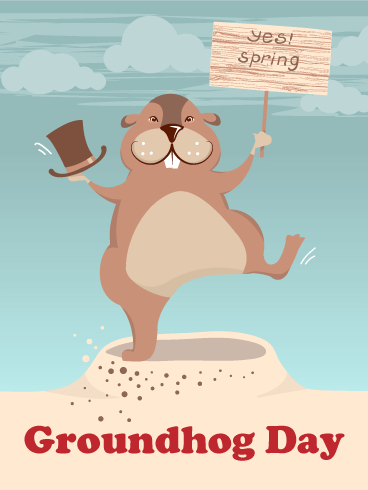 On this Groundhog Day, start a discussion about the accuracy of Punxsutawney Phil's predictions that is based on whether he sees his shadow. Afterwards, ask whether the tradition of having the groundhog predict an early spring should continue despite all the inaccuracies. Coordinate with Dining Services to provide a special Groundhog Day reveal pancake breakfast for the men where you reveal whether you're having six more weeks of winter based on if the groundhog saw his shadow. 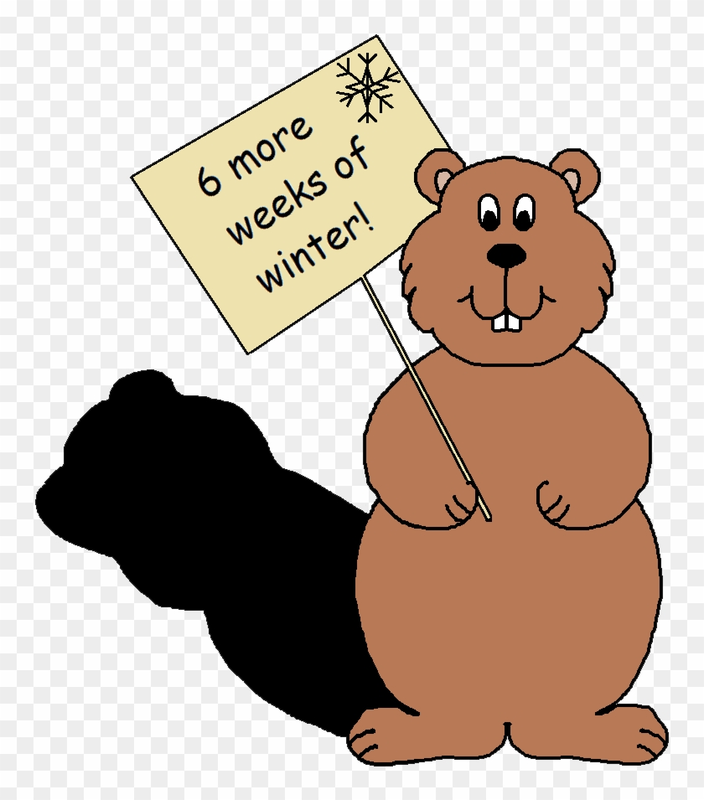 At each setting, provide a sealed card for the men to open that signals six more weeks of winter if the groundhog saw its shadow, or an early spring if the groundhog did not see its shadow. Use chalk pastels as you show the men how to create their own Rockwell chalk art on this birthday of illustrator Norman Rockwell. In recognition of this day of Super Bowl LIII in Atlanta, Georgia, invite your resident to complete a Star-Spangled Banner puzzle. For the activity, enlarge the lyrics of the national anthem, and cut out each of the words of the first verse and have your resident try to put them in order. Begin a discussion about taxes with the men on this day that the Sixteenth Amendment to the U.S. Constitution, allowing Congress the right to levy taxes on income, was ratified. Ask the men whether taxes are fair, and whether the rich should pay more in taxes. Pass out Super Bowl bingo cards for the men to mark as they see the items while watching Super Bowl LIII. Assist the men with making craft stick airplane kits to pass out to visiting children on this birthday of American aviator Charles Lindbergh. 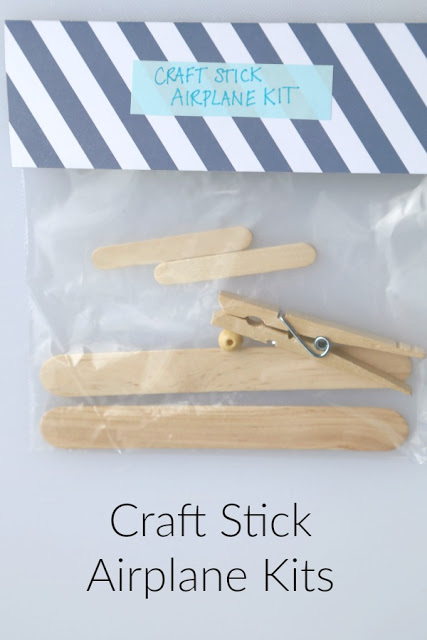 To assemble each kit, use two large craft sticks, two small craft sticks, one clothespin, and one small wooden bead. Have the men make a few of the airplanes to use as samples to show the kids what they can make. One-on-One: How Well Do You Know the Rules of Golf? Quiz your golf-loving-resident with golf trivia to see how well he knows the rules of golf on this birthday of famous golfer Byron Nelson. Discussion: Can Men Be Feminists, Too? Start a debate among the men about feminism on this birthday of feminist Betty Friedan who was the first president of the National Organization for Women. Ask the men whether they believe that men can be feminists and whether being a feminist is a positive thing. Host a dance-a-thon fundraiser for the men to raise money for a local cancer charity on this World Cancer Day. Beforehand, contact family members to sponsor their loved ones by pledging a dollar amount for every five minutes that they keep dancing. (Consider asking for flat donations of $20 from family members.) During the activity, recruit volunteers and staff members to dance with the men. 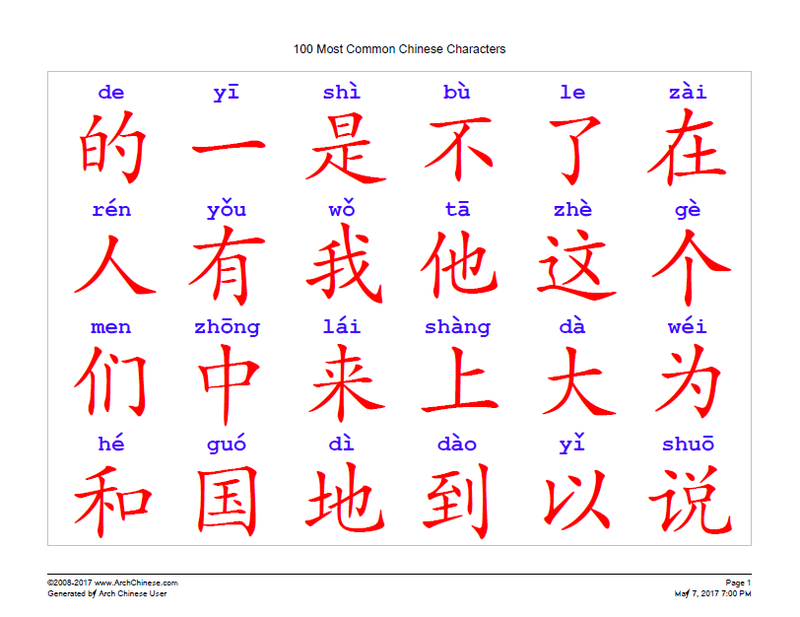 Show the men how to write Chinese characters on this day of the Chinese New Year. Use black paint on red paper, and hang the paper as decoration throughout your facility for the holiday. Test your resident's knowledge of film and stage actors on this Move Hollywood & Broadway to Lebanon, Pennsylvania, Day. For the activity, read the names of Hollywood and Broadway actresses, and ask your resident to identify whether the person is a stage or film actress. Begin a debate with the men about extreme weather on this National Weatherperson's Day. Ask the men whether the recent incidences of extreme weather signal an overall change in climate based on what they remember seeing as youngsters. Host a tasty nacho-eating contest with the men and staff members on this Constitution Day in Mexico. To play, pair each of the men with a volunteer or staff member and have the staff member sit in front of a plate of cheesy nachos. Then have the men stand behind their partner to feed him the nachos. Award a prize to the first team that finishes their plate of nachos. On this birthday of Jamaican reggae singer Bob Marley, encourage the men to paint seashells using puffy paint. Store the decorated seashells away for your upcoming beach and Caribbean parties. For this first day of the Vancouver International Boat Show in Canada, take your resident on a tour of one of the largest Caribbean cruise ships. Discussion: Do We Put Too Much Pressure on Our Athletes? Chit chat with the men about student athletes on this National Signing Day in college football. Ask the men whether coaches put too much pressure on their athletes. Afterwards, ask the men whether they remember feeling pressured to outperform in sports as a teenager. In honor of this day that Massachusetts became the 6th state, teach the men how to play a game that is popular in Canada and several northeastern states like Massachusetts called Forty-Five. For this birthday of English lexicographer Sir James Murray, provide the men with paper and pens to write down objects in the room that start with a particular letter. Give the men one minute to write down as many objects that they find. After the minute, have them read their words, and award a point to the participant who wrote down the most words. Then move on to the next round with a different letter. Show your resident how to create his own three-dimensional art drawing of a hand on this Wave All your Fingers at Your Neighbors Day. For the activity, use a pencil, a black marker, and colorful markers. Discussion: Is It O.K. to Be a Nosy Neighbor? Start a debate among the men about nosy neighbors on this Wave All your Fingers at Your Neighbors Day. Ask the men whether they think that it is o.k. to be a nosy neighbor. Help the men get to know one another on this Wave All your Fingers at Your Neighbors Day by having them play a fun game of "What If?" To play, simply ask the men What If? questions for the men to discuss. On this day that Portland, Oregon, the "City of Roses," was incorporated, teach the men how to make strawberry roses using strawberries, forks, and plastic knives. This week before Valentine's Day, challenge your resident to a conversation heart stacking game using chopsticks. The first person to stack 10 hearts using chopsticks is the winner of the round. In recognition of this birthday of the "Father of Science Fiction" Jules Verne, encourage the men to debate the relevance of science fiction as a part of literature. Ask the men whether science fiction should be considered serious literature. Host a pizza painting party for the men on this National Pizza Pie Day. For the activity, set up canvases for the men to paint with one hand while enjoying eating pizza with the other. Invite your resident to help you make a tasty M&M's pizza to serve to passersby on this National Pizza Pie Day. Chit chat with the men about their favorite foods on this National Pizza Pie Day. Share a list of the most popular American food dishes, and ask the men to identify their favorites. On this Read in the Bathtub Day, divide the men into teams to play the mega bubble relay game, in which participants try to blow bubbles through a target. 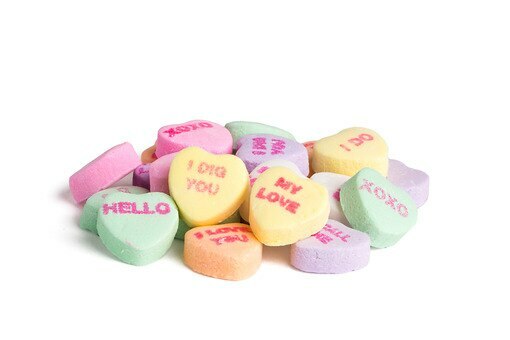 Get the men ready for Valentine's Day by having them play a fun conversation heart game. 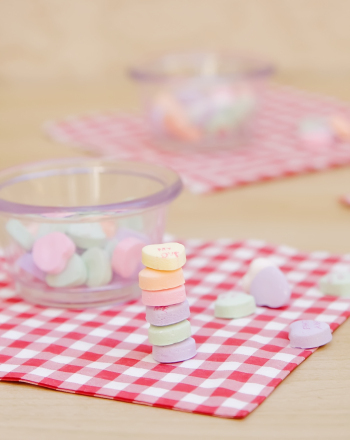 To play, provide each of the men with conversation hearts to stack to see who can stack the most without having them fall over. Assist your resident with using polymer clay to make clay chess pieces in recognition of this day that a computer beat a human in a chess game for the first time. Reminisce with the men about their favorite sign-offs on this birthday of entertainer Jimmy Durante who was known for his sign-off, "Good night, Mrs. Calabash, wherever you are!" Afterwards, share a few famous sign-offs from news broadcasters to see if the men remember them. Invite the men to participate in a fun newspaper puzzle on this day that The New York Times slogan "All the News That's Fit to Print" first appeared on its front page. To play, cut up a sheet of newspaper for each participant so that it is in many pieces, and then have the men try to put their newspaper sheet back together. Award a point during each round to the first person who successfully puts their newspaper sheet back together. Recruit the men to help you decorate for Valentine's Day by making tissue paper trees. Use cardboard cones, glue sticks, tissue paper, and pencils for the craft. Assist your resident with filling up your activity cart with books as the two of you visit your bedridden residents to read to them on this National Shut-in Visitation Day. Discussion: How Was the Single Life? Chit chat with the men about their bachelor days on this Satisfied Staying Single Day. Ask the men whether being single was one of the best phases of their life. Host a trivia competition among the men in recognition of this Pro Sports Wives Day. Begin the competition with a few super easy sport trivia questions before asking more general sport trivia questions. On this birthday of President Abraham Lincoln, invite staff members to drop off their change for the men to roll into coin wrappers for them. Beforehand, print out and assemble the coin wrappers for the activity. For this Extraterrestrial Culture Day, recruit your resident to assist you with turning boxes of candy into valentine monsters to hand out to visiting kids during this valentine season. Discussion: Why Is He So Revered? Start a discussion about the presidency of Abraham Lincoln with the men on this day that the 16th president was born. Share a few fun facts about the Illinoisan before asking the men whether he should be as revered as he is today. Invite the men to compete in a penny slide challenge on this day that the man on the penny, Abraham Lincoln, was born. To play, seat competitors at either end of a long table and have them slide pennies across the table so that the penny gets the closest to the edge without falling off. In recognition of this birthday of American artist Grant Wood, help the men tap into their creativity as you show them how to make cork art. Use cork discs or sheets of cork and colorful Sharpie markers for the artwork. Provide your resident with canvases, paint, and modeling paste to create his own abstract art on this birthday of artist Grant Wood. For this Employee Legal Awareness Day, chit chat with the men about outrageous laws that are still on the books. Share a few crazy state laws from each of the men's home states to see if they can defend their state's outrageous laws. Special Event: Was It Bess, Mamie or Jackie? On this birthday of former First Lady Bess Truman, host a First Lady game for the men. To play, read a fact from the biography of Bess Truman, Mamie Eisenhower, and Jackie Kennedy, and have the men try to identify which first lady you are referring to. Invite the men to participate in a fun Valentine's Day gingerbread house contest. To begin the activity, show the men how to construct the houses using graham crackers. Then provide the men with icing and valentine candy to decorate their houses. Set the finished houses out for display, and have passersby vote on the "Most Romantic Gingerbread House." Encourage your resident to assist you with making conversation heart balloons to drop off to bedridden residents on this Valentine's Day. Use red vinyl letters and heart-shaped balloons for the activity. Start a debate with the men about organ donation on this National Donor Day. Ask the men whether Americans should automatically be opted-in as donors, allowing them to opt-out if they do not want to donate their organs. In honor of this day that Oregon became the 33rd state, invite the men to play a state guessing game where they try to identify the state after you read a fun fact about the state. Assist the men with crafting Canadian Mountie peg dolls in honor of this day that Canada's maple leaf flag was adopted. For the project, use tan felt (for the hat), glue, and red, yellow, brown, and black markers. Recruit your resident to help you paint wooden birdhouses on this first day of the Great Backyard Bird Count to turn them into a winter village. Display the finished village in a common area of your facility. Discussion: Should We Have a Space Force? Begin a debate among the men about space on this birthday of astronomer Galileo Galilei. Ask the men whether there should be a space force and whether it should be a separate branch of the military. On this first day of the Great Backyard Bird Count, invite the men to assist you with a bird count using a bird count sheet. Seat the men in front of large picture windows to conduct the bird count. Assist the men with making pretzel snowmen as a fun winter snack, using pretzel rings, candy melts, mini chocolate chips, and fruit leather. Encourage your resident to make a papier-mâché hand puppet on this birthday of ventriloquist Edgar Bergen. Use newspaper, paste, fabric, yarn, felt, and paint for the fun craft. In recognition of this first day of La Fiesta de Los Vaqueros and Tucson Rodeo in Tucson, Arizona, start a discussion with the men about persuading bullfighters to become bull riders. First, ask the men whether they think that the Spanish culture of bullfighting should be banned. Then ask the men whether Spain should look to American bull riding as a way to replace the tradition of bullfighting in the European country. Invite the grandchildren to play a fun Snap card game with the men, but to alter it to include animals on this World Pangolin Day, a day honoring the pangolin, an endangered scaly anteater. So at the beginning of the game, have everyone pick a different animal. Then during the game if another person flips over a card that matches yours, instead of being the first person to yell "Snap" you would need to yell the other person's animal before they yell your animal. Assist the men with assembling balloon-powered cars for a fun race on this day of the Daytona 500 in Daytona Beach, Florida. Help your resident address thank-you cards to give to all his caregivers in your facility on this Random Acts of Kindness Day. Discussion: Is It Wrong to Go After What You Want? Begin a discussion with the men about going after what you really want on this My Way Day. Ask the men whether it is wrong to be selfish. Set up several baskets and pass out foam balls for the men to compete in a fun basketball shoot-out on this day of the NBA All-Star Game in Charlotte, North Carolina. Award a prize to the participant who makes the most baskets. Use open-backed picture frames for the men to turn into beautiful stained glass using food coloring and glue on this birthday of Louis Comfort Tiffany, the American artist who was known for the stained glass Tiffany lamp. Assist your resident with making a pom-pom solar system mobile using a cardboard pom-pom maker on this day that the dwarf planet Pluto was discovered. Start a debate among the men about Executive Privilege on this Presidents Day. Ask the men whether they agree with there being such a privilege. On this Presidents Day, invite the men to compete against one another while playing the presidents game using presidents cards. Award a prize to the first person who wins – or gets five consecutive presidents in their hand. Invite the men to play a snowball pong game on this day of the Full Snow Moon. To play, set up several baskets and have the men bounce white ping pong balls (the snowballs) to see how many balls they can bounce into the buckets in under a minute. Celebrate this day of the Full Snow Moon with your resident by serving him a hot toddy. Begin a discussion with the men about Japanese-American internment camps on this day that Japanese Americans were ordered to be placed in those camps. Ask the men whether those internment camps were right, and whether those interned should have received reparations. For this day of the Full Snow Moon, invite the men to compete in an igloo contest to see who can build the best igloo using only miniature marshmallows and toothpicks. Share camera phone tips with the men on how to take winter nature photos from your facility's large picture windows with their phones in recognition of this birthday of Ansel Adams, an American photographer of Yosemite National Park. Invite your resident to assist you with baking tasty mini star pies for passersby to sample on this National Cherry Pie Day. Use boxed pie crust mix with cherry fruit filling to make the easy pies. Celebrate this World Day of Social Justice with the men by starting a discussion on the topic. Ask the men whether social justice exists. Provide the men with a scavenger hunt list for the men to use as they take photos on their phones during a photo scavenger hunt on this birthday of nature photographer Ansel Adams. In recognition of this first day of American Birkebeiner Cross-Country Ski Race/Birkie Week in Wisconsin, provide the men with water, food coloring, plastic cups, a cake pan, and string to make colored ice ornaments to hang outdoors. Use Spanish flash cards for a fun language class with your resident on this International Mother Language Day. Simply cut out the cards to teach him numbers, colors, and animals in Spanish. On this day that the Washington Monument was dedicated, chit chat with the men about the presidential monuments that they have visited. Afterwards, share a few fun facts about presidential statues in America and abroad. Celebrate this day that the Washington Monument was dedicated by playing a fun game of Name That Monument with the men. 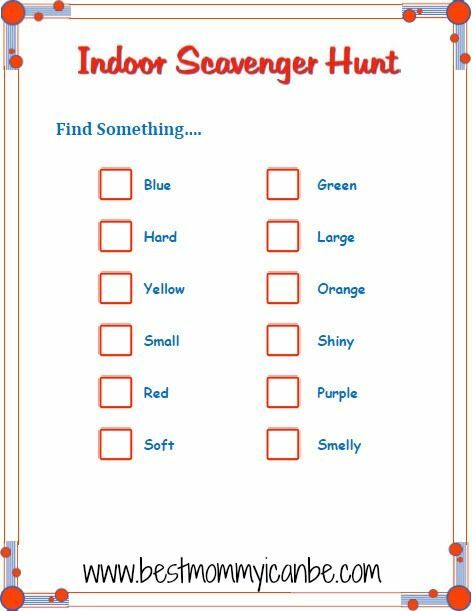 To play, simply pass around photos of national monuments to see if the men can correctly identify them. Invite the men to use colored pencils and a Washington portrait coloring page to replicate a Washington portrait on this birthday of the first American president. For this first day of CAMEX, an annual national conference for collegiate retailers in San Antonio, Texas, invite your resident to play the classic college beer pong game using root beer. Discussion: Is a Lower Drinking Age the Solution? In recognition of this first day of CAMEX, an annual national conference for collegiate retailers in San Antonio, Texas, start a debate among the men about the legal drinking age. Ask the men whether lowering the drinking age on college campuses would alleviate some of the collegiate issues when it comes to drinking. In honor of this birthday of the tallest man in recorded history, Robert Wadlow, invite the men to play a game of giant bananagrams (similar to Scrabble but without the scoring). Beforehand, recruit volunteers to make tiles using cardstock and paint. Assist the men with making mini notebooks using paper on this birthday of diarist Samuel Pepys. In recognition of this Curling Is Cool Day, use foil containers, water, and food coloring to make ice art with your resident to hang outdoors. On this World Sword Swallowers Day, pass around photos of extreme sports for the men to discuss whether they would ever try it. Afterwards, ask the men whether it is o.k. to encourage children to play extreme sports. For this Open That Bottle Night, invite the men to participate in a fun blind wine tasting. Provide the men with a wine tasting sheet for the men to use to judge the wines. Supply the men with air-dry clay and colorful paint to make Mexican folk art sculptures on this Flag Day in Mexico. In recognition of this day of the Mystic Krewe of Barkus Parade in New Orleans, Louisiana, recruit your resident to assist you with making a Mardi Gras garland to use in March for your Mardi Gras party. On this day of Hustle Up the Hancock, Chicago's annual winter event to raise money for clean air education and research, start a discussion with the men about air quality. Ask the men whether we can improve air pollution from factories. Invite the men to compete in a fun piñata competition to see who can successfully burst open a piñata on this Flag Day in Mexico. Ahead of time, recruit volunteers to make a piñata for the activity. Pass out old CDs for the men to convert into glitter snowmen that can be hung as decoration in your Activity Room this winter. Use sandpaper, paint, glue, pipe cleaners, felt, glitter, and the template to convert the CDs into winter art. Use a baking sheet of fake snow to play a fun game of winter Pictionary with your resident, where the two of you use your fingers to draw an object in the snow for the other to guess. On this birthday of American fashion model and congresswoman Millicent Fenwick, start a discussion with the men about brains and beauty. Ask the men whether beauty is more important than brains for women in today's society. Host a fun art game for the men on this birthday of Impressionist painter Pierre-Auguste Renoir. To play, divide the men into teams of two with one person drawing and the other person describing (i.e., having one person describe how to draw an object to the other without saying what it is). After the drawing is complete, have the person who drew the object try to guess what they just drew. If they answer correctly, then award a point to that team. Pair the men together, and teach them how to draw caricatures of their partner on this birthday of French caricaturist Honoré Daumier. Recruit your resident to assist you with making winter yarn hats as fun decoration for your facility this winter. For the project, use toilet paper rolls, colorful yarn, and scissors. Discussion: Should Animals Be Spayed or Neutered? Start a discussion with the men about animals on this World Spay Day. Ask the men whether animals should automatically be spayed or neutered. 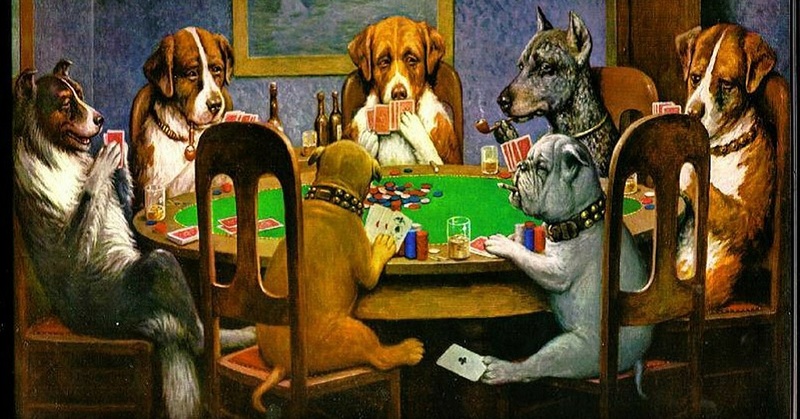 On this birthday of American country music star Johnny Cash, play Johnny Cash music in the background as you teach the men how to play Omaha poker. Encourage the men to make and sip their own polar bear hot chocolate on this International Polar Bear Day. Lead your resident in a few upper body golf stretching exercises before teaching him how to swing a golf club correctly on this birthday of Gene Sarazen, the American golfer who invented the sand wedge. Begin a discussion with the men about presidential term limits on this day that the Twenty-Second Amendment to the U.S. Constitution, limiting tenure of the presidential office to two terms, was ratified. Ask the men whether there should be term limits for Supreme Court justices and for members of Congress. Invite the men to match leading ladies and leading men to the correct movie on this birthday of leading lady Elizabeth Taylor. Beforehand, print out photos of leading ladies and leading men. Then during the activity, seat the men around a large table that has all the photos. Then read the name and year of a popular movie, and encourage the men to find the photos on the table of those who were in that movie. 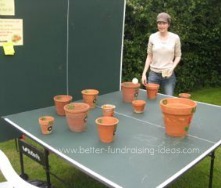 On this Floral Design Day, set up flowerpots for the men to bounce ping pong balls into to accumulate points. Invite your resident for an "indoor track walk" throughout your facility on this first day of the NAIA Indoor Track and Field National Championships in Brookings, South Dakota. Chit chat with the men about popular television shows on this day that the final episode of popular television sitcom M*A*S*H debuted. Use a whiteboard, and write a list of the top 10 shows from the 1960s to see if the men can put them into order. Borrow a tablet on this Digital Learning Day to quiz the men with fun trivia.